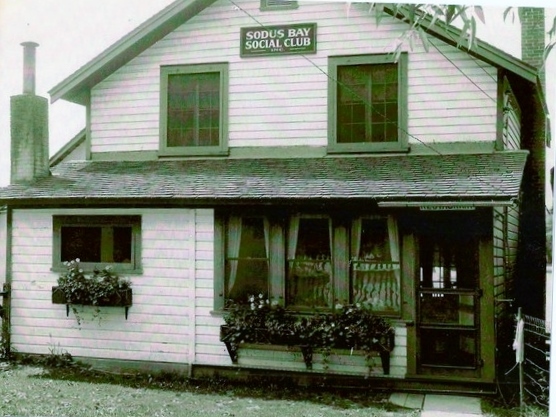 The above picture depicts the Sodus Bay Social Club here in Sodus Point in the 1920s and 1930s. Most of the members were believed to also be members of the Sodus Bay Yacht Club. It is located on the north side of Greig Street just before the loop. The building still stands but has since that time been remodeled. Thanks to Bill Huff Jr. for providing this information. From Elsie Parsons we learned that the purpose of this club was to improve Sodus Point by putting in street lamps, side walks, etc. A later rendition of this was the Sodus Bay Improvement club.